Swallows at Birds Place Farm in Buxton sleeps 2 people. Birds Place Farm in Buxton are converted stables, neighbouring to each other, and are located within the old stable yard are centrally located to explore the delights of Norfolk. Both holiday properties (refs 31288 and 31289 [Wagtails]) are on the ground floor with no stairs, making them an ideal choice for the less mobile. The owners pride themselves on the personal service and attention to detail provided to customers to ensure a relaxed and friendly atmosphere during your stay, making them a popular choice for many returning customers. 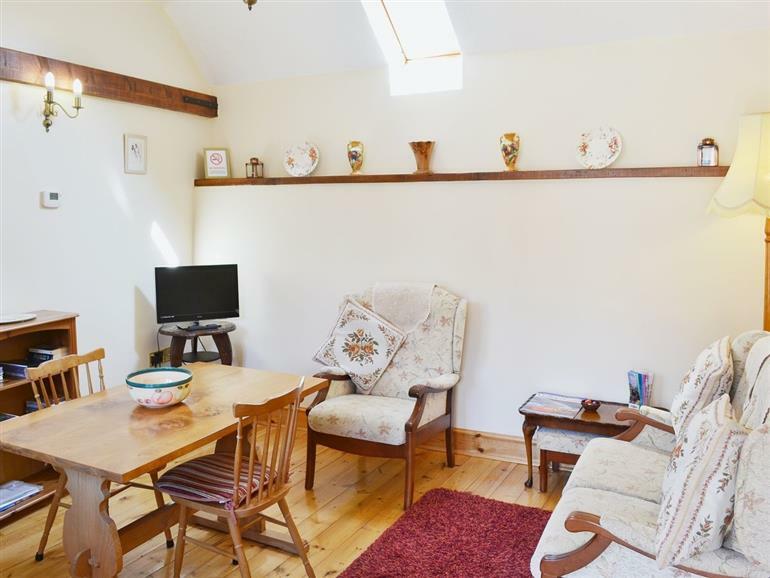 Peacefully tucked away within a 30-minute drive of Norwich, which has many attractions, including the castle museum, theatre, cathedral, art galleries, excellent shopping, market square, cafés and restaurants. Also, visit Wroxham, capital of the Norfolk Broads (7 miles) for miles of inland waterways and a natural habitat for bird and wildlife. Daily boat hire and river trips are also available, with waterside cafés, restaurants and shops. Buxton has a pub, village shop and off licence, post office, fish and chip shop and hairdressers. Market towns with supermarkets, farmers market and amenities include North Walsham (7 miles) and Aylsham (5 miles). Walkers and cyclists will be delighted by the many miles of quiet lanes, trails and footpaths. The coastline is 14 miles away, with its amazing beaches, RSPB nature and bird reserves, coastal path and seaside towns with amenities and activities to suit all ages. Stately homes and gardens within easy touring distance include NT Blickling Hall, Felbrigg Hall and Sheringham Park. The Royal Sandringham Estate is 50 miles and Holkham Hall and beach is 38 miles. The Bure Valley Steam Railway is the country’s longest narrow gauge railway, running from the historic market town of Aylsham, stopping at Buxton, and continuing on to Wroxham. Fishing opportunities available locally. The shop and restaurant are 500 yards from Birds Place Farm in Buxton, with the pub 2 miles from Birds Place Farm. 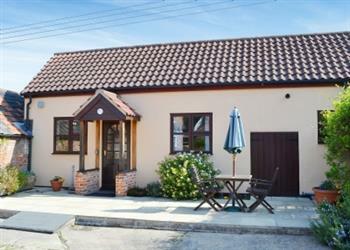 Both properties: Gas central heating, electricity, bed linen, towels and Wi-Fi included. Welcome pack. Utility room with freezer, dishwasher and washing machine (shared). Patio with terrace and garden furniture. Bike store. Private parking for 1 car. No smoking. Please note: The property has a natural water supply from a spring. Holidays at Swallows run from Saturday to Saturday. For a better idea of where Birds Place Farm - Swallows is, you can see Birds Place Farm - Swallows on the map below. Birds Place Farm - Swallows is in Norfolk; should you be on the lookout for a special offer, you can find all the special offers in Norfolk. It's always worth checking to see what is on offer at the moment. Do you want to holiday near Birds Place Farm - Swallows (31288), you can see other cottages within 25 miles of Birds Place Farm - Swallows; have a look to find your perfect holiday location.